Happy Birthday To Us! Tomorrow Is The Big Day! Wow, can you believe it!? Time has flown by so fast! Tomorrow Amaretto Ranch Breedables will be 3 years old! It just seems like yesterday that we brought our breedables in to Second Life. Each and every day we are amazed and proud to have such a strong and faithful community. We are truly blessed and honored to have each and every one of you as Amaretto Ranch breeders! Without you, Amaretto would not be as successful as it is today. With that being said… I would like to remind you all of the festivities we have planned for this joyous day! Tomorrow September 1st we have an amazing line up of entertainment for you! 10:00 am – 10:30 am DJ opening the party! Prizes and some fun to start the party! Amaretto’s first Breeders Choice Award winners will be announced and presented their awards and gifts. Party and celebrate with them!! 6:00 pm – 6:30 pm Closing out the party! More prizes and a lil more fun before the night is over! Again, we would like to thank each and every one of you! You have made Amaretto what it is today! Please be sure to come out and celebrate with us! Also, please be sure to be in one of our Amaretto groups for a chance to win some AMAZING prizes!! Happy Friday Everyone! Today I was reflecting on the last 3 years here at Amaretto Ranch Breedables and all the amazing friends I have made along the way. That’s what I love about Amaretto, our Breedables are about so much more than just Horses, K9s and Birds. It’s about people and friendship and community. I have so many beautiful memories of the last 3 years so I had to share a picture of one of my all-time favorite memories at the bottom of this blog. I was blessed to meet the 2 members of our Amaretto Design Team this year and have shared a picture from where Chronic, Nashville and I met at the Rock & Roll Hall of Fame in Cleveland. 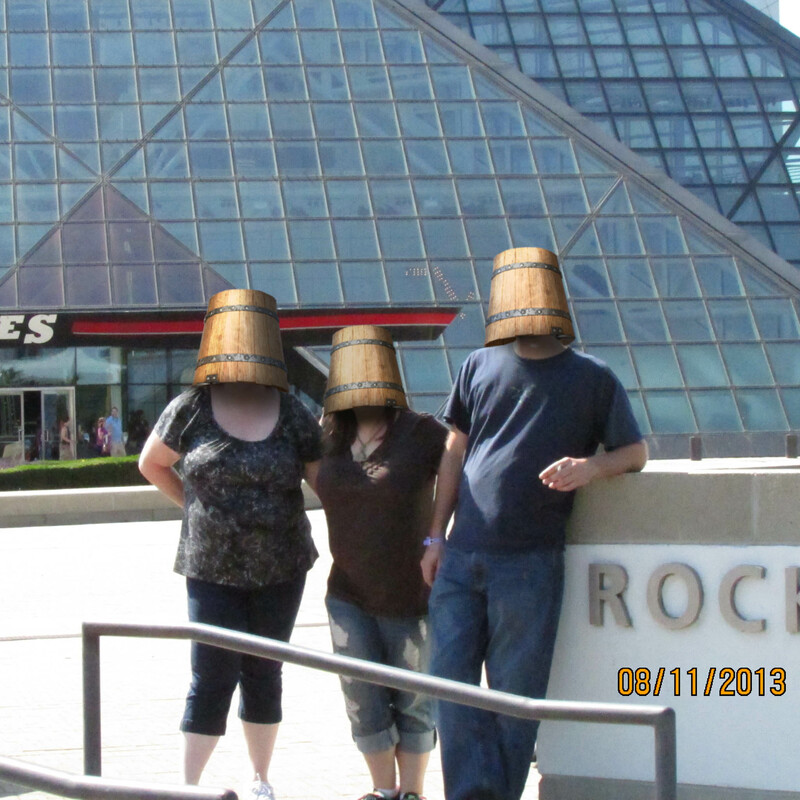 We had a great time but did we ever get some strange looks walking around with *THE* Buckethead! A few month ago I started a thread on the forum where everyone could share their favorite stories about how Amaretto Breedables had impacted their lives. Now would be a good time for everyone to take a minute and go there and read some of the stories shared and even share your own stories. I look forward to reading them all! Well I really hope that the Amaretto Community is ready to party come Sunday September 1st we will have 5 sims rocking when we start to celebrate Amaretto’s 3rd Birthday! Lots of fun and some great live entertainment as well as the 1st Breeder’s Choice Awards which I can’t wait for! Hope to see you all out there celebrating with us and until next time and for many years yet to come Happy Breeding! We hope everyone will come and spend time with us as we celebrate the day away. All five of the Amaretto Sims will have the stream so the music and fun can be heard by all! We also have AViewTV providing live coverage of all the craziness! So come on down September 1st and let’s party! Do You Wanna Know ? OMG! OMG! I got a secret and I am busting to tell you!!! I met someone around the corner and they told me what September’s Show Horse and Best in Show K-9 are! Shhh not gonna tell you who told me! Hehe. You have a chance of getting The Icelandic Showhorse by breeding any of the two Icelandic’s together. Hey wait I got more news!! From September 5, 2013 till October 5, 2013 any kennel dropped between these dates you have a chance of getting Best in Show In The Wild K-9. You have a chance of The Best in Show In The Wild by breeding any two In the Wild K-9’s together. Until next week Happy Breeding Everyone! How to become a winner! Howdy to all my breeder friends out there! Hope you are all having a great day! I know its Tuesday and Linden Labs can give us a run for our money with the rolling restarts! I wanted to take a few moments to tell you how you can win some fabulous prizes at the Amaretto’s 3rd Birthday! What are these fabulous prizes?? 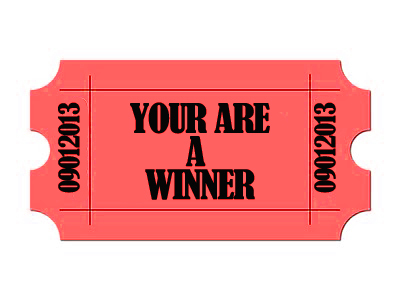 Well I can tell you that but I can tell you how you can win one! The requirements to win at Amaretto’s 3rd Birthday are pretty simple all you have to do is be a member of the main group or the multi language group. How can you join the group? That’s pretty simple you can go to any Amaretto location and use the group joiner! Here is what the group joiner looks like in world! So winners at Amaretto’s 3rd Birthday will be randomly chosen from members of the Multi Language and the Main Amaretto Ranch Breedables goup! 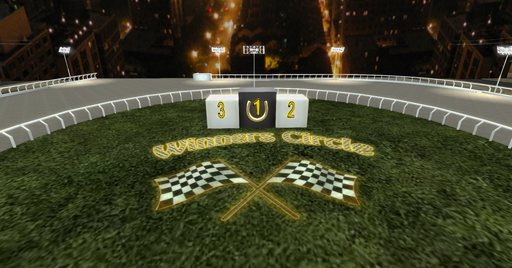 You do not have to be online to win but do have to be in the group. Also please get all your votes in for the breeders choice awards we will be closing voting on Friday at 8 PM SLT! So vote, vote, vote!!! Happy breeding everyone I hope to see you at Amaretto’s 3rd Birthday where will announce the winners of the Breeders Choice Awards! This is Ava over and out!!! Happy breeding everyone! Next is food-Breeder Food is for horses you wish to breed once they reach 7 days old. Pet Food is to be used when you do not wish to breed your horses. If you decide to breed your horse after feeding it Pet Food, it will take 7 days on Breeder Food for the effects of the Pet Food to wear off. Salt Licks- a stat booster that gives a 1% increase in happiness over time. One Salt Lick last 2 horses 2 weeks. Horsey Snacks-This one time use snack will decrease one of your horse’s nourishment by 10%. Sugar Cubes- a onetime use consumable that will increase one of your horse’s happiness by 15%. Healing kits- a onetime use kit that will heal one sick horse and bring its nourishment down to 0%. Happy Friday everyone! Hope you all had a great week! Today I need to use my blog to ask for your help. As many of you know the Amaretto Staff puts together events for you the Community each month. Dances, Contests, Fishing, Hunts …. Lots of fun events are scheduled each month. Well I am coming to you to ask for your input on these events! Which events are your favorites and are there events that you’ve never seen us do that you would be interested in attending. Let me hear from you. I want your suggestions on the events you would like to see the Amaretto Staff put on each month. Send a notecard with your suggestions on it to me, Dakota Delicioso, and be sure to put your name on it so I know where the great ideas are coming from. I look forward to seeing all of your suggestions and I especially look forward to seeing you all at the Amaretto events. Mark your calendars for the Amaretto 3rd Birthday Bash on September 1st! Until next week, Happy Breeding! Today I would like to take a moment to talk to you about the K9 HUD. I will go over how to use this HUD and the fun things you can do with your K9 while using the HUD. While the K-9 is attached to the HUD they receive a boost in Happiness. This happiness boost will increase as long as the K9 stays attached to the HUD. 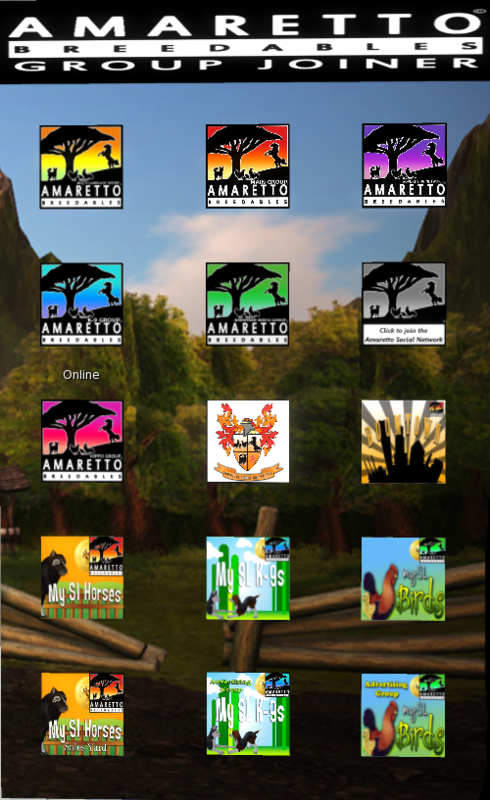 Click on any of your Amaretto K-9s and that will bring up the main menu. Click this button and you will get another menu that has a button on it labeled HUD. After clicking the HUD button you will receive a K-9 HUD in the objects folder in your inventory. Click Ball to set range for the distance at which the ball will be thrown. You can chose from 20, 40, 60, or 100 meters. Your K-9 will run and retrieve the ball and bring it back to you as you will see it back in your hand and you can throw it again and again while your K-9 retrieves it for you. 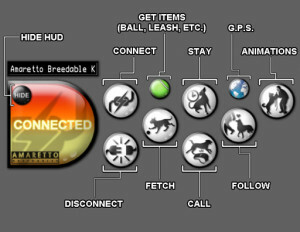 Once you are done interacting with your K-9 via the HUD or you want to play with a different K-9 click the Disconnect button. This will disconnect your K-9 from the HUD and reset Home position where the K-9 is located at the time it disconnects. So it’s time to play with those K9s and get their happiness rising! This Wednesday i would like to touch a little on Amaretto Horse Haven, Puppy Paradise and Bird Sanctuary. Well let’s start with Amaretto Horse Haven. First let’s remember this ONCE A HORSE IS SENT TO HORSE HAVEN IT IS UNRECOVERABLE. When you want to send your horse to haven , you simply click the horse when menu comes down you click on settings then click on horse haven, then you will have to confirm that you want to send this horse to haven. Remember once a horse has been sent to haven it can’t be reversed. When sending a horse to haven you will receive points for age and traits. You will also receive Horse Cents to send in the vendor that is at all the Amaretto horse stores and at Amaretto Horse Haven. When you decide to send your K-9 to puppy paradise you would do the same as you do with the horses. Click on settings then Puppy Paradise, and then confirm that this is what you want to do. When sending a K-9 to Puppy Paradise you will receive Points for traits an age of the K-9. You will also receive Kennel Cash to send at the vendors in all Amaretto K-9 stores and at Amaretto Puppy Paradise. Last we have the Amaretto Bird Sanctuary. Remember this also with the Barnyard Birds ONCE A BIRD IS SENT TO BIRD SANCTUARY IT IS UNRECOVERABLE. How to send your Barnyard Bird to Sanctuary you would simply click the barnyard bird then click settings then click on Bird Sanctuary then you will have to confirm that is what you want to do. The Bird Sanctuary will reward you with the Henny Penny for age and traits. You can spend these Henny Penny rewards at any vendors located at the Amaretto Birds Stores an also on the Barnyard Bird Vendors on the Amaretto Haven Sim. So be sure this is what you want to do when sending Amaretto Breedables to Haven, Paradise or Sanctuary because there is no turning back after sending them! They are gone cannot be recoverable even if it is sent by accident so think about it before you hit send! Until next Wednesday! Happy Breeding! Happy Tuesday everyone! Hope everyone is enjoying their day! I wanted to share with everyone today something that has changed at Boomtown! That’s right Boomtown is a booming, and had some renovations! 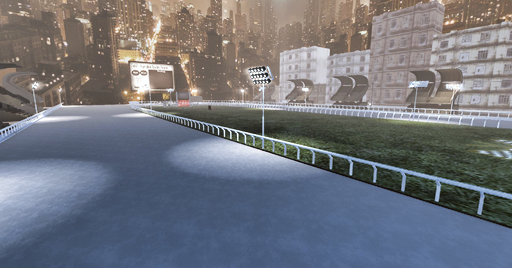 We have placed a bigger and better race track for everyone to race, practice or train on! If you are interested in finding a race to participate in please contact a memeber of the AMOC group! AMOC hosts a race every month. In addition to our reg race track we also have barrel racing set up for a different style of racing that is a lot of fun! Remember this area is open to everyone to use! I have included some pictures of the new racing area at Boomtown! Don’t forget that I will be picking the pic of the week tomorrow! All entries must be turned in before 1 PM SLT.Remember the winner will get their picture placed on our website as well as displayed at our main store! You still have time to enter just make a notecard with a brief description of your picture and a full perm copy of your picture and drop it into the cameras at all the main store locations! 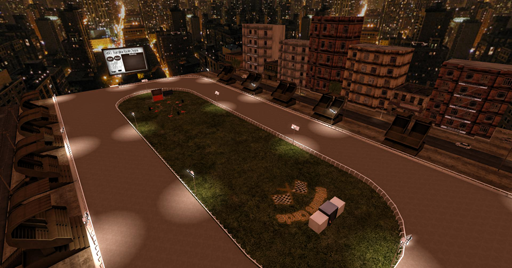 Well I hope to see you all at Boomtown using the new racing area! This is Ava over and out! Happy breeding everyone!!! 1.The 2011 Breast Cancer Awareness Fundraiser the Special Edition Think Pink K-9s were released in efforts to raise funds for Breast Cancer Awareness. pictures can be seen at this web site. 3.Amaretto was visited by Cupid! On February 7, 2012 Amaretto released the Special Edition Valentine K-9s. 6. 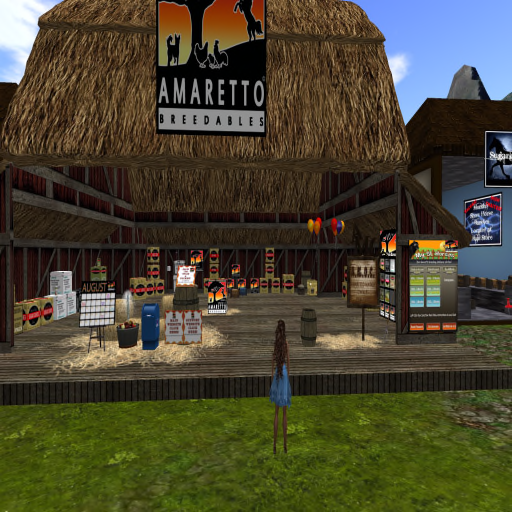 July 13, 2012 Amaretto released the Special Edition to benefit Relay for Life. 100% of the proceeds were given directly to Relay for Life Fundraiser to benefit the American Cancer Society. pictures can be seen at this website. 10. December 20th, 2012 Amaretto Retro Edition K-9 Throwback Packs were sold. Eleven SE’s released, and all of them have been awesome….I can’t wait to see what new releases Amaretto is planning for the future!!!!!! Until next Monday, Happy Breeding!!! !